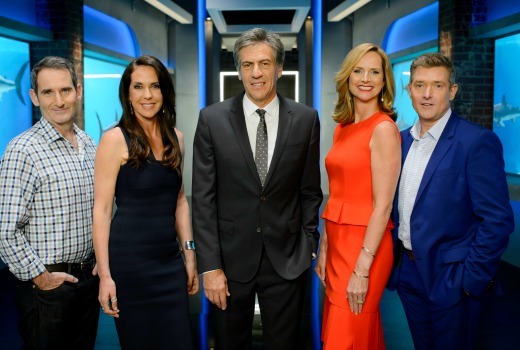 TEN appears to have renewed Shark Tank for a third season with auditions underway for a third season for 2017. Applicants must be an Australian Resident or Citizen and be available for filming between the 7th of November and the 9th of December 2016. They will look over the numbers and delegate much of the work. A couple of phone calls and the occasional meeting. All will depend on the investment size. I’ve often wondered that. I suppose with the wealth and the empires they each command, they would have ‘team’ of business developers do do a lot of the necessary dirty with the occasional personal interaction if and when personal interest (or a Shark Tank follow up) require. Love the show, though. I think we’ve all thought that – how they can spread themselves so thinly, they’ve all got businesses to run. I guess they’ve all got ‘people’ to do the grunt work, and I assume these people all have to specially hired, depending on how many the Sharks take on. And all that costs money, of course, so it’s a big investment. Yeah. Exactly the thought my tweens proffered last month. Must be very busy sharks. The sharks are not long term investors, they probably stay in a business between 1 to 3 years and get out. I’m glad the show is back for another season. I just hope that it has more of a consistent time slot than it did this year!